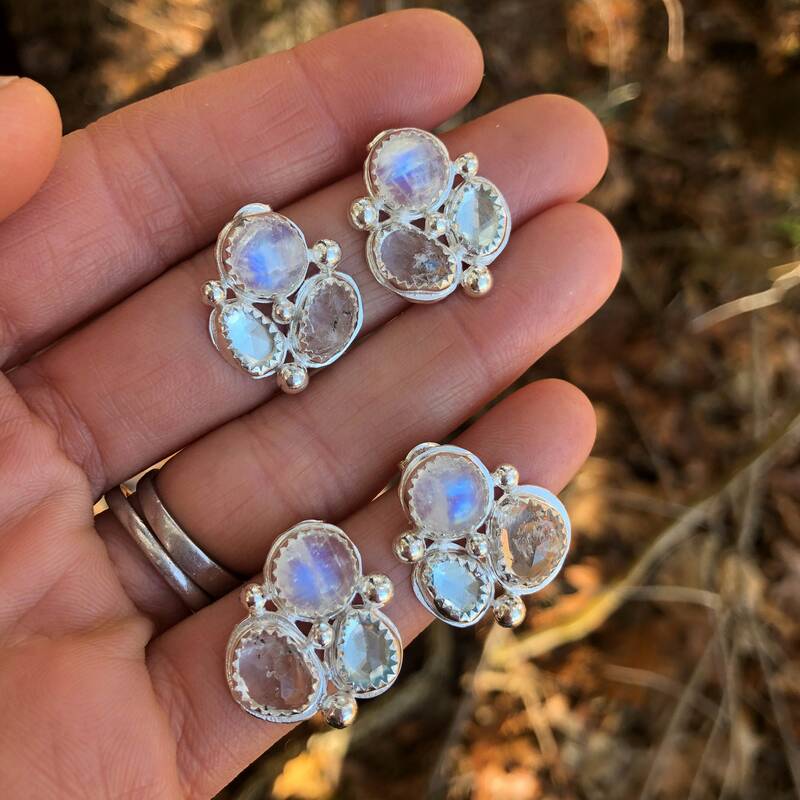 * Handmade with nickel free Argentium Sterling silver - see below for more about this unique metal! 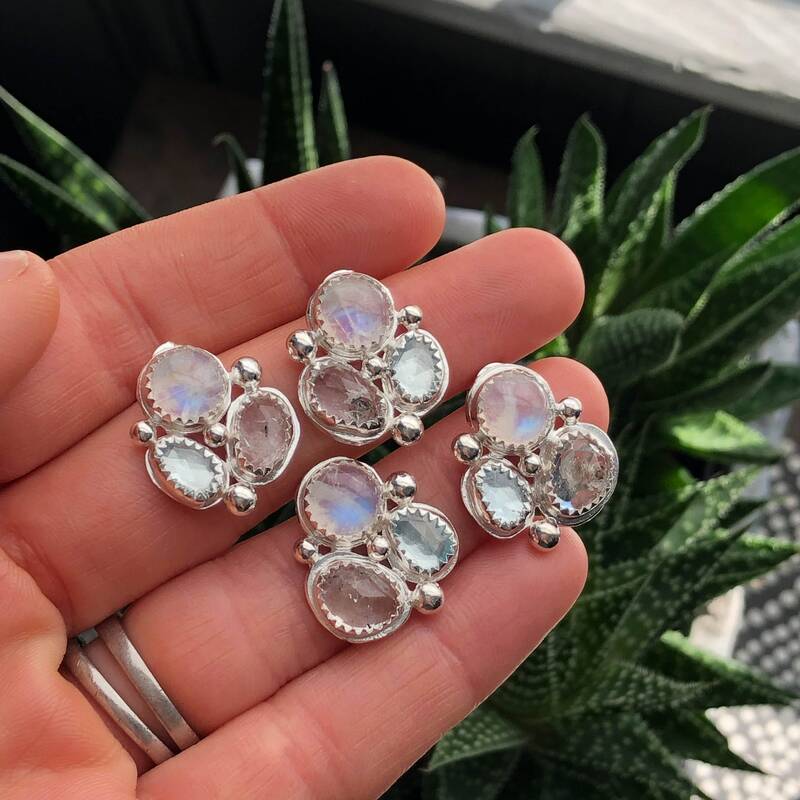 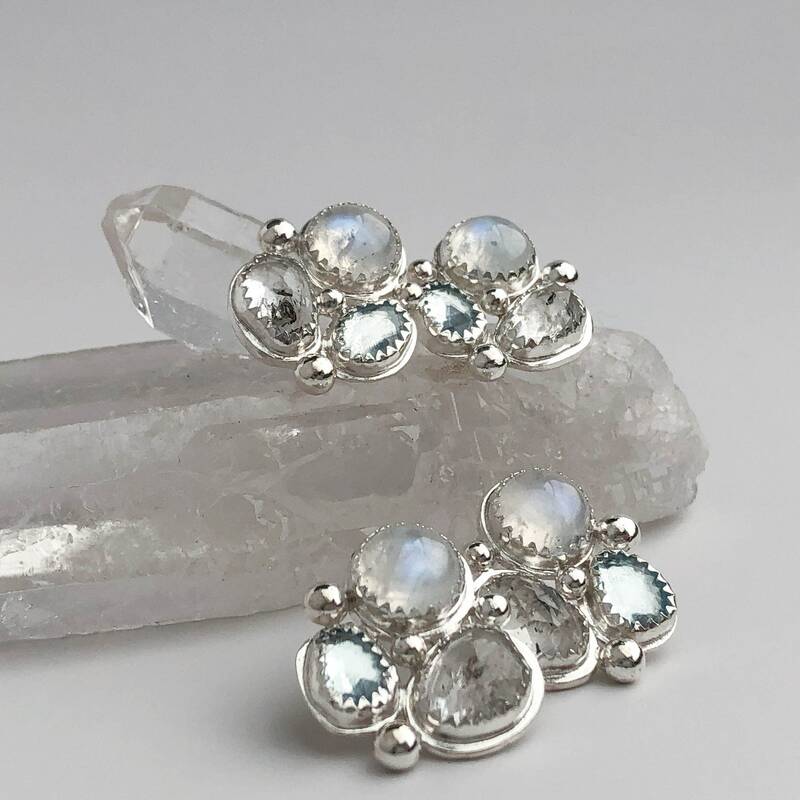 These gemstone cluster earrings were handmade with gorgeous natural gemstones and nickel free sterling silver. 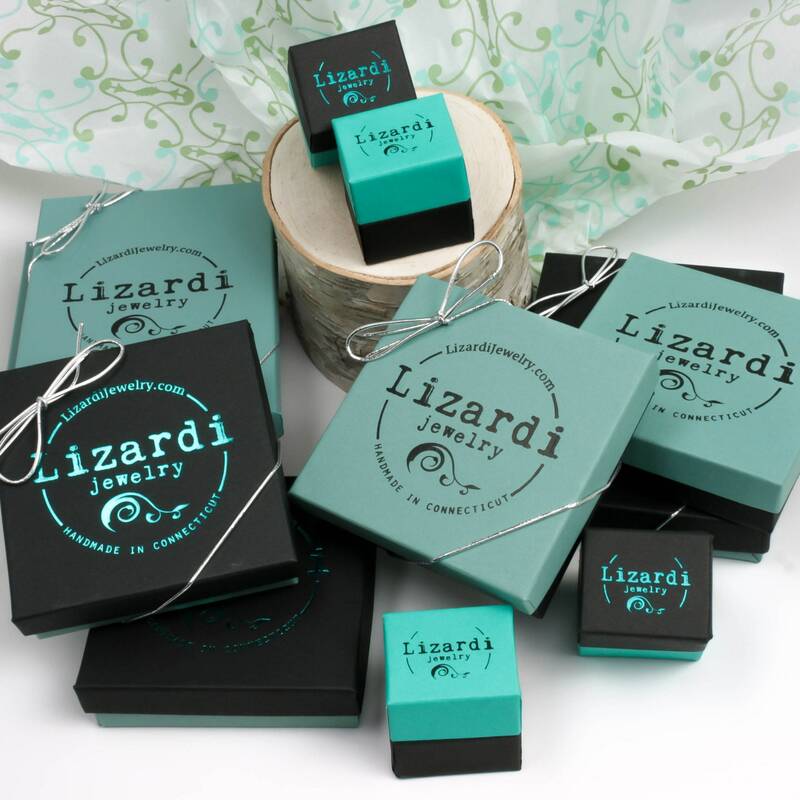 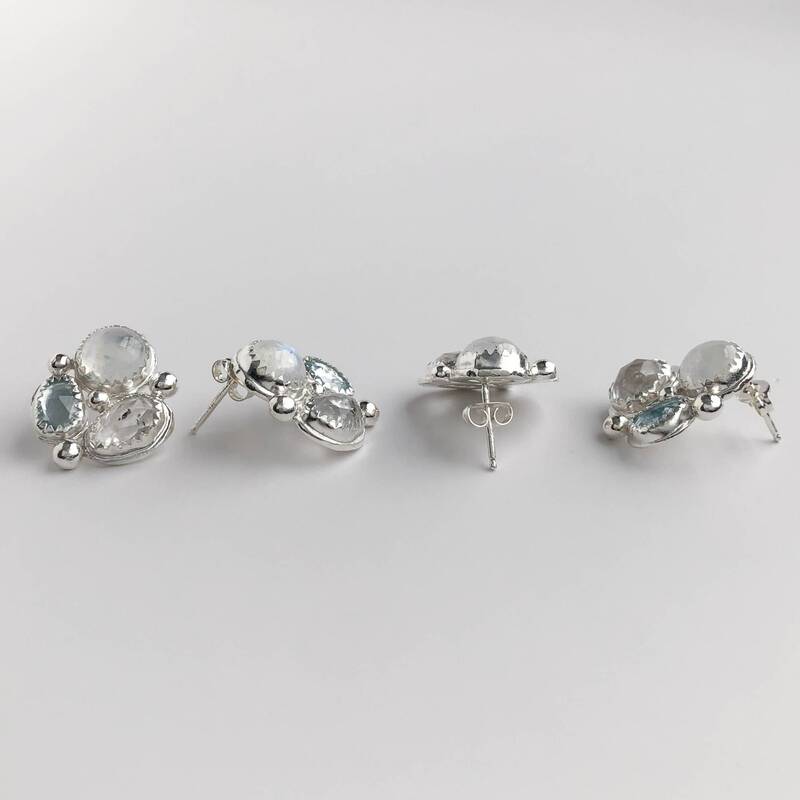 They feature blue flash rainbow moonstones, small faceted blue topaz gemstones and rose cut Tibetan Herkimer Diamonds. 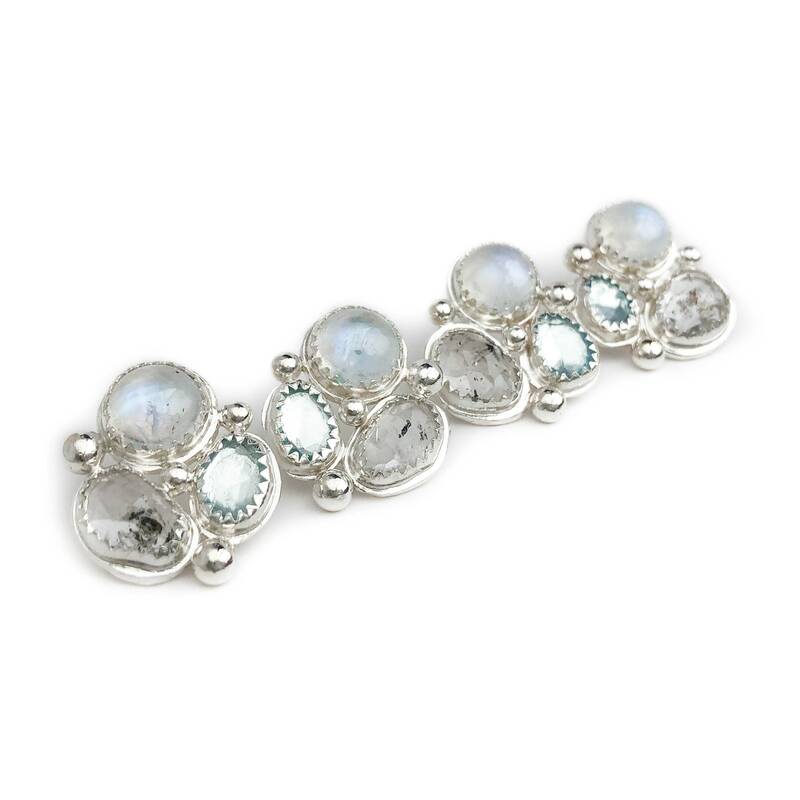 This unique pairing of stones gives so much texture and just the right amount of sparkle. 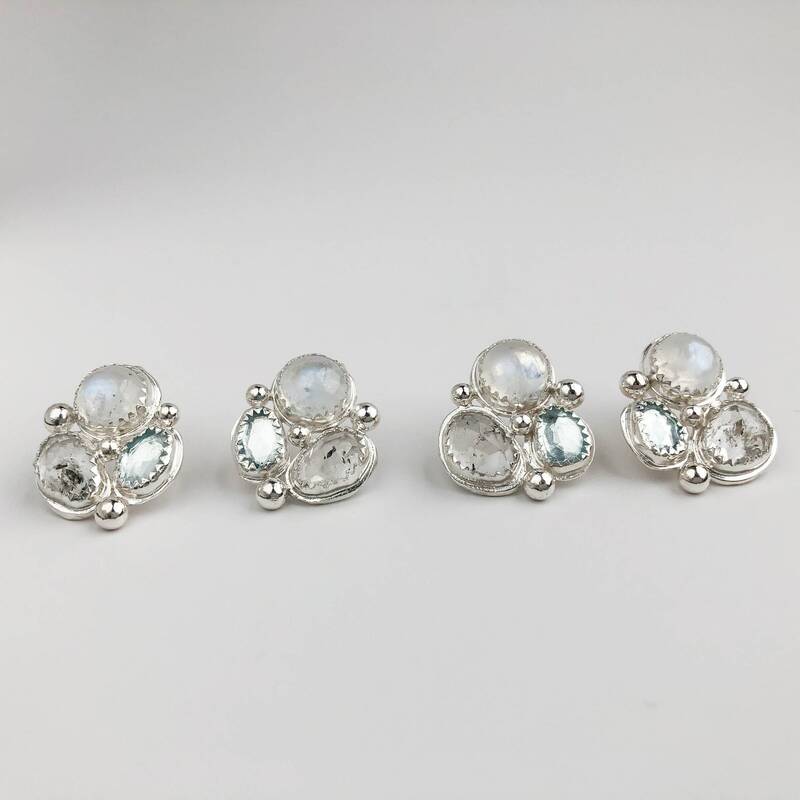 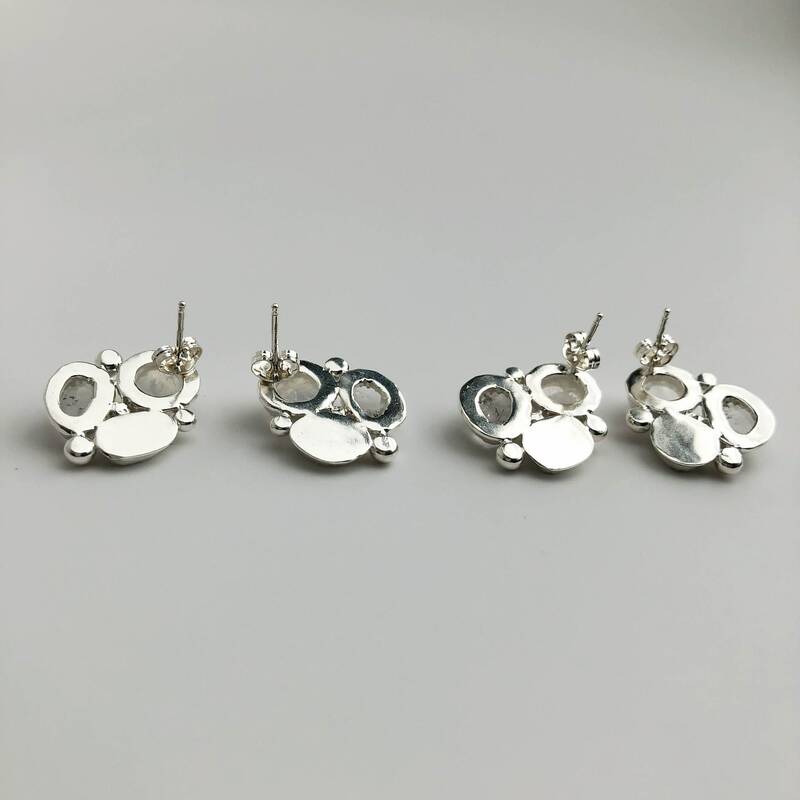 The freeform shapes are artfully arranged and accented with sterling silver balls for a style that is so versatile and sure to make a statement!